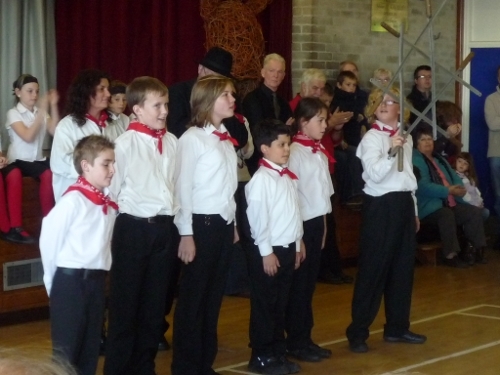 Sir Harry’s Sword were a junior sword dance side based in Whittlesey active between 2004 & 2012. They were associated with Wype Doles a Whittlesey based adult Longsword side and coached by Brian Kell & Richard Exton. The side took its name from Whittlesey's most famous son Sir Harry Smith ‘the hero of Aliwal’ who’s sword is pictured above and is on display in St Mary’s church. 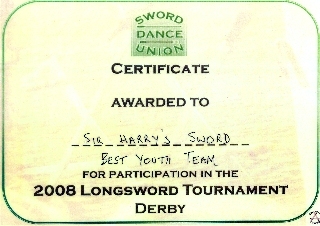 Sir Harry’s Sword are not currently active as new members have not been recruited to replace the older ones who left the side or move on to dance with Wype Doles. Sir Harry’s Sword danced at the Straw Bear festival, St. George’s day and other local events in Whittlesea. They also impressed discerning audiences at Ely Folk Festival, The Lobster Potty dance week-end in Sheringham, the The Witchmen's winter Solstice dance out in Northamptonshire and Sword Dance Union events in Derby and Sheffield. When they formed in 2004 the side danced with wooden swords but in 2007 Manchester Morris Men donated a set of light alluminium alloy swords. 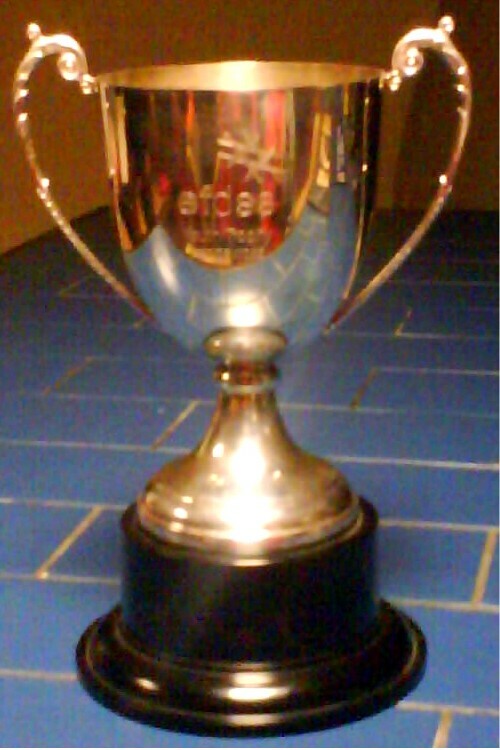 See loads of photographs and a few videos of the team dancing, including some taken at the Longsword Tournament and day of dance where Sir Harry’s Sword won the Cecil Sharpe EFDSS trophy for the best youth team in 2007, 2008 & 2009.